A reading challenge across MISD for PreK - 2nd grade students. 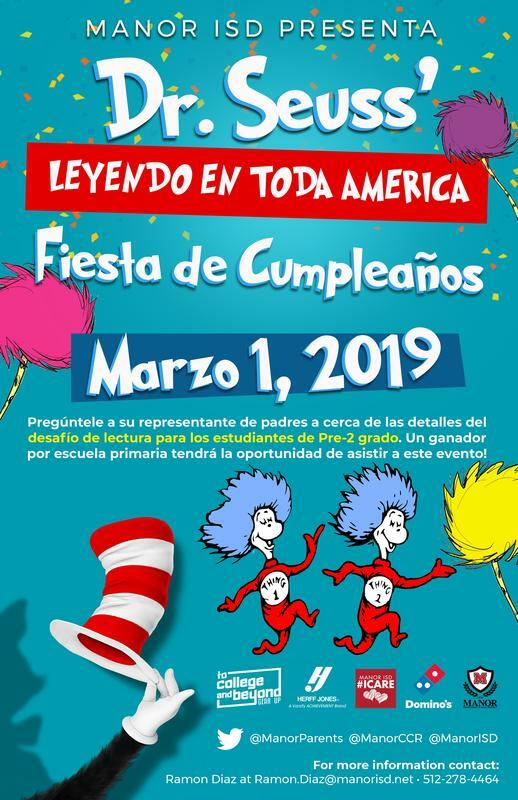 MISD will be hosting a Read Across America Birthday Party on March 1,2019. Please see the attached flyers. There will be a reading challenge across the district for PreK-2nd grade beginning February 1-February 10. There will be a letter will be going home soon with students explaining how the challenge works.